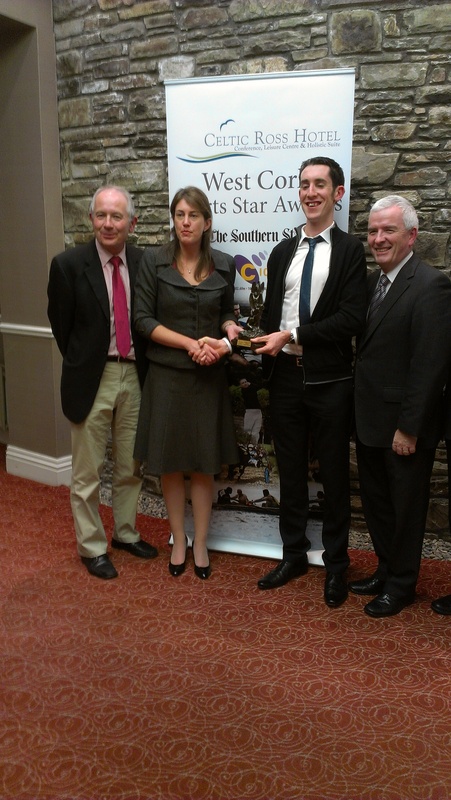 Cathal O’Donovan was presented with the West Cork Sports Star of the month for November. The award was presented in the Celtic Ross Hotel last Friday. The Southern Star Newspaper and Celtic Ross are joint sponsors of the award. There is also an interview in the Southern Star with Cathal on the biking accident that he had while preparing for the world duathlon championships.